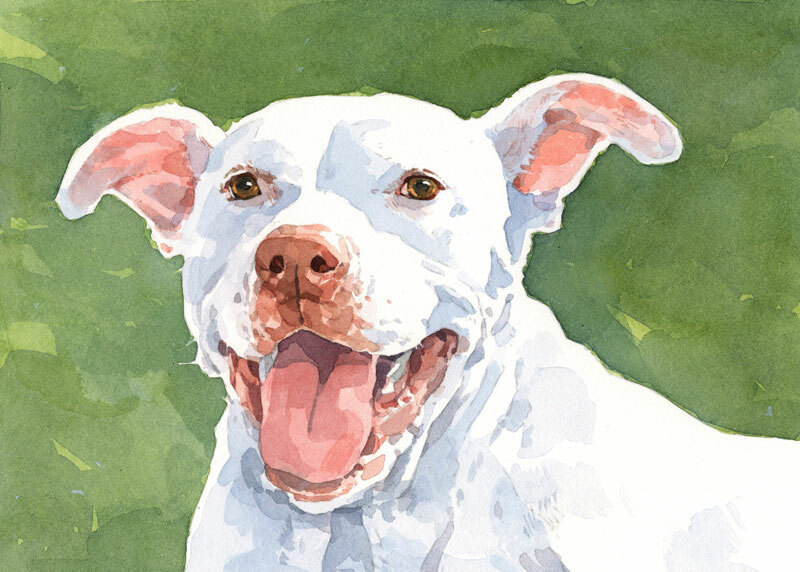 I finished this dog portrait yesterday of a white pit bull. Pit bulls are probably my favorite breed to paint. They are all eyes and ears. Handsome dogs, very expressive and full of soul!